Healthy teeth are the hardest part of the human body. But even the strongest tooth is far from indestructible. 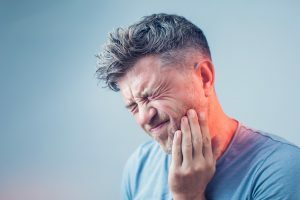 If you’re suffering from broken or damaged teeth, then you should rinse your mouth with saltwater, take an over-the-counter pain reliever if necessary and see an emergency dentist in Palm Bay right away. An automobile accident that causes mouth trauma. A mishap when playing sports or engaging in an outdoor activity. A bicycle or motorcycle wreck. Tooth injury can stem from other, less traumatic events as well. Sometimes biting a piece of ice or hard candy is all it takes. No matter the cause, quick action is key to enjoying relief from discomfort and experiencing eventual recovery. The first step is to remain calm and assess your physical condition. Is it only your tooth that has suffered trauma? Or have you incurred other injuries that require medical attention? Do you need to go to the hospital? If in doubt, then you should err on the side of caution and see a healthcare professional right away. If part of the tooth is still in your mouth, then you should cover it with a piece of paraffin wax or sugarless gum in case it has a jagged edge. Save the broken part of the tooth if possible and bring it with you to the dentist. You should avoid eating until after you’ve received dental care. If you must eat, then stick with soft foods and chew with care, avoiding the broken tooth. You may experience some pain, depending on the type of injury and its severity. Acetaminophen or other over-the-counter pain relievers can relieve your discomfort. You may want to rinse your mouth with warm salt water as well. This can help to prevent infection. Using a tooth-colored resin held in place by a dental adhesive and hardened by an ultraviolet light. This is a viable treatment option in cases where the damage is limited. Filling the tooth. Fillings serve multiple purposes. They relieve pain, protect the tooth from further damage and, in almost all cases, enable the patient to regain full use of his or her teeth. Installing a crown. This is usually a viable solution if the root of the tooth is still healthy. Placing an implant. This is the most extensive type of restoration for a damaged tooth. But it may be necessary if the original tooth was in a state of decay or if the damage from the injury was extensive. Mouth trauma and tooth damage are risks that all of us face. But your dentists in Palm Bay have the skills and technology needed to relieve your discomfort and restore your oral health. So stay safe and take care of yourself. We wish you and your loved ones lots of happy smiles ahead. Doctor Christopher Nowacki has been providing skilled, compassionate dental care since receiving his DMD degree in 2004. He sharpens his skills by participating in ongoing training and education throughout the year. You can reach his office online or by calling (321) 724-9300.